The integration works well and the UI/UX is pretty intuitive, so let me just mention how multiple color support look like. In case there are more colors values specified for single CSS property Fire picker previews them all in the drop down list. 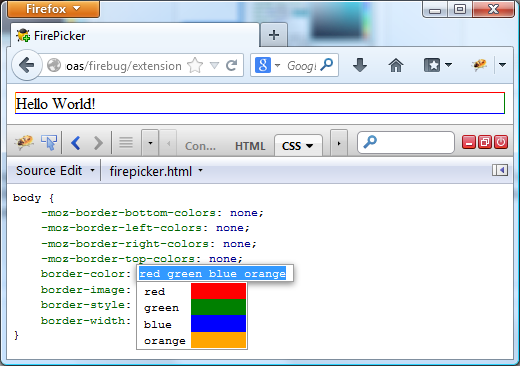 If you click the border-color CSS property value to edit it FirePicker displays a little preview for every color. 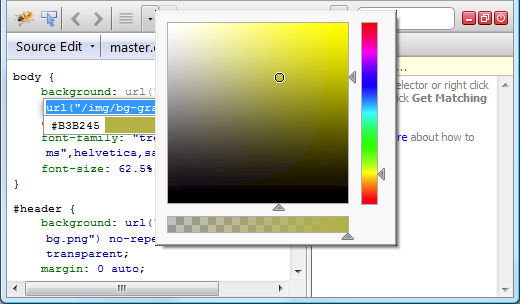 Clicking on a color in the list shows the color-picker dialog that allows changing the value.